Many home owners do not realize that they need to have periodic inspections performed if they are having any renovation work done on their properties. Although most registered builders are honest and reliable, even they can make mistakes from time to time, which is why it is recommended that you consult with us about having renovation inspection performed on your home. When approaching our company to have renovation inspections performed on your home, you can be assured of enjoying complete peace of mind in knowing that all of the work will be done according to current building and safety standards. 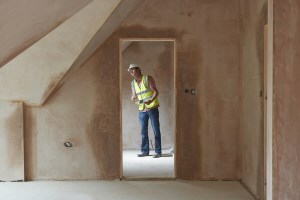 Our inspectors all have an extensive level of experience in the building and construction industry, which means that they know exactly what to look for, and although they can be contacted to assist at any time during the renovation process, it is recommended that they be hired before the first round of renovations begins. Our renovation inspectors will inspect everything being done on your property with a fine tooth comb to ensure that absolutely nothing is of a substandard quality. They will also ensure that everything is being constructed according to the agreed upon building plans, as well as according to current Australian Standards and Building Codes. After all of the inspections have been performed, you will be provided with a typed report listing all items and issues that will need to be attended to and rectified by the builder. Although these problems will not be present with all home renovations, there is always the possibility that they might, which is why it is recommended that thorough inspections be performed while the renovations are taking place. If you are considering having home renovations performed or you have already had them performed and are not happy with the end results, get in touch with us today. We will assist you by making contact with the builder who has done the work to ensure that all issues are rectified as quickly as possible. Contact us today to see how we can be of assistance to you during the renovation process as well.